Moreover, Bianque's ways of treatment varied into more branches, such as acupuncture, moxibustion, herbal medicine, acupressure, cupping, therapeutic exercise and nutrition. 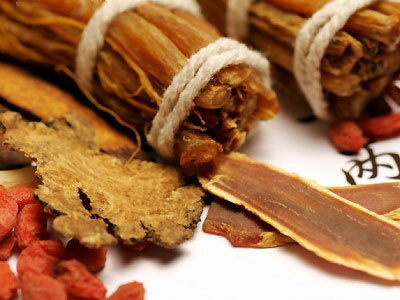 Traditional Chinese medicine is a complete medical system that is capable of treating a very wide range of conditions. Acupuncture is practiced medical treatments that are over 5,000 years old. Very basically, acupuncture is the insertion of very fine needles, (sometimes in conjunction with electrical stimulus), on the body's surface, in order to influence physiological functioning of the body. Acupuncturists can use as many as nine types of Acupuncture needles, though only six are commonly used today. These needles vary in length, width of shaft, and shape of head. Today, most needles are disposible. They are used once and disgarded in accordance with medical biohazard regulations and guidlines. There are a few different precise methods by which Acupuncturists insert needles. Points can be needled anywhere in the range of 15 degrees to 90 degrees relative to the skin surface, depending on the treatment called for. In most cases, a sensation, felt by the patient, is desired. Another popular treatment method is Moxibustion, which isthe treatment of diseases by applying heat by burning specific herbs to Acupuncture points. Acupuncture and Moxibustion are considered complimentary forms of treatment, and are commonly used together. Moxibustion is used for ailments such as bronchial asthma, bronchitis, certain types of paralysis, and arthritic disorders. One of the most popular alternatives to Acupuncture is Acupressure. This is simply Acupuncture without needles.Stimulation of the Acupuncture points is performed with the fingers or an instrument with a hard ball shaped head. Another variation of Acupressure is Reflexology (also called Zone Therapy). This is where the soles of the feet and the posterio-inferior regions of the ankle joints are stimulated. Many diseases of the internal organs can be treated in this manner. There is a growing body of research which indicates that traditional uses of plant remedies and known pharmacological activity of plant constituents often coincide. However, herbal medicine is distinct from medicine based on pharmaceutical drugs. Firstly, because of the complexity of plant materials, it is far more balanced than medicine based on isolated active ingredients and is far less likely to cause side-effects. Secondly, since herbs are typically prescribed in combination, the different components of a formulae balance each other. They undergo a mutual synergy which increases efficacy and enhances safety. Thirdly, herbal medicine seeks primarily to correct internal imbalances rather than to treat symptoms alone, Therapeutic intervention is designed to encourage a self-healing process.